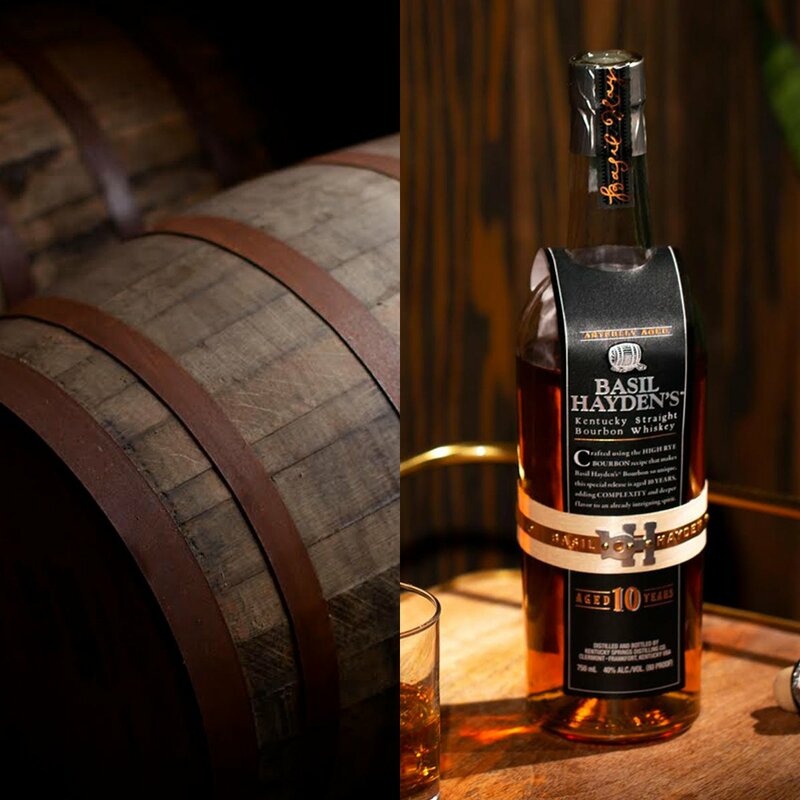 Artfully aged at a relatively mild 80 proof, Basil Hayden's® is as novel and delectable a bourbon whiskey named in honor of master distiller, Basil Hayden, who rolled out his first barrel over 200 years ago. Marked by a rich cascade of aromas and flavors, Basil Hayden's® is a small batch bourbon with rich hints of peppermint, notes of pepper, slight citrus overtones, and a spicy, warming finish. In 1796, legend has it that Master Distiller Basil Hayden Sr. broke 'the rules' by mixing small grains into the mash of a traditional corn base. A Maryland transplant unafraid to stand out amidst the residing establishment, Basil conjectured that the spicy flavor of rye would be a striking complement to the sweet smoothness of corn in his distillery's standard bourbon. And much to the chagrin of the traditionalist set, Basil was right. Today, Basil Hayden’s® Bourbon remains true to the old family recipe with more rye than a traditional bourbon and its trademark spicy finish. The only thing better than a glass on the rocks is having a friend to sip it with. Home is where you sip your bourbon. Like a good meal, it's better when savored.